Mentor: Give an enemy units -Attack equal to the Student's Attack. 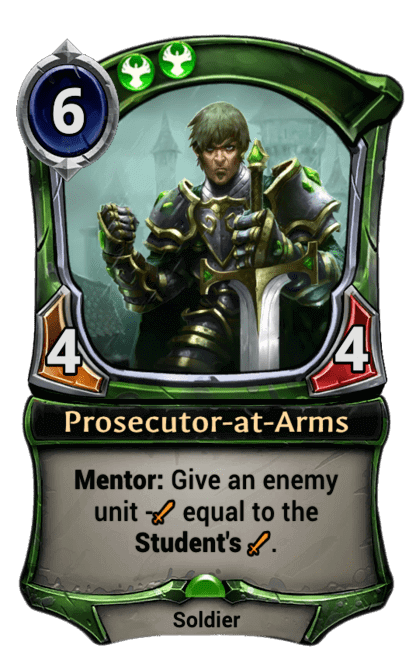 Mentor - Cards with Mentor have an additional effect when played if you exhaust one of your students as a Student. Units that are already exhausted can't be used as a Student.